Drugs During Pregnancy and Lactation, 3rd Edition is a quick and reliable reference for all those working in disciplines related to fertility, pregnancy, lactation, child health and human genetics who prescribe or deliver medicinal products, and to those who evaluate health and safety risks. Each chapter contains twofold information regarding drugs that are appropriate for prescription during pregnancy and an assessment of the risk of a drug when exposure during pregnancy has already occurred. 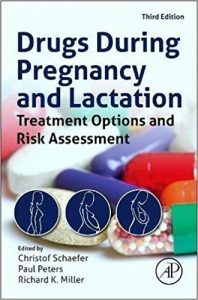 Thoroughly updated with current regulations, references to the latest pharmacological data, and new medicinal products, this edition is a comprehensive resource covering latest knowledge and findings related to drugs during lactation and pregnancy.